To be truly on top of things sartorially it's time to start pre-gaming your fall wardrobe. That way when the weather turns cooler you're prepped and ready to roll. 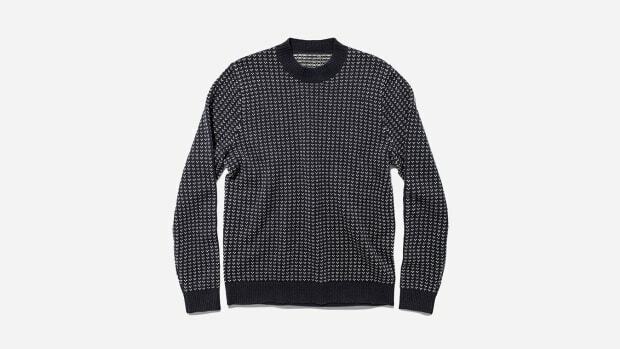 To that end we recommend your first investment of the season be Taylor Stitch's badass new Hardtack Sweater, a rough-sounding name for what is one of the softest pieces of knitwear you'll ever have the pleasure of putting on. 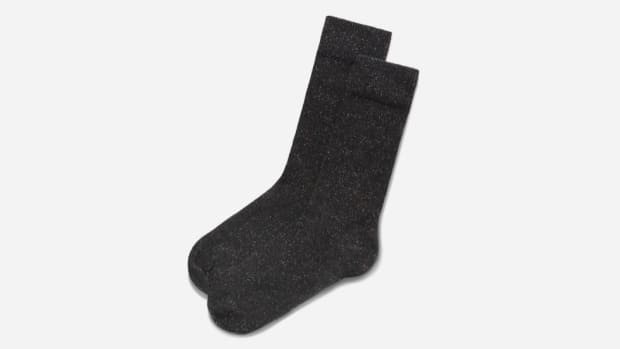 Available for pre-order now at a can't-miss price of $198 – a significant savings of $50 off the eventual in-stock price – the Hardtack is 100% pure cashmere with a few of T.S. 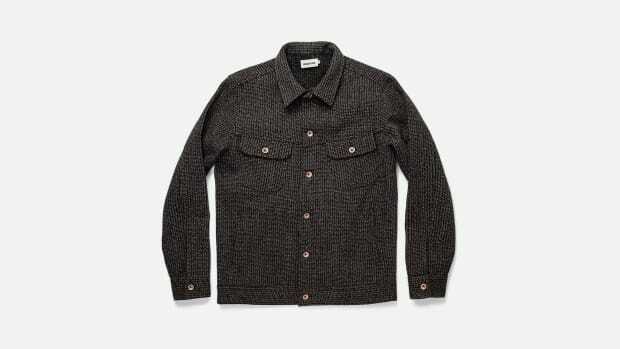 's signature upgrades: real sheepskin elbow patches, a double thick ribbed neck and cuffs, and an amazing Donegal-flecked weave that gives it the appearance of tweed. 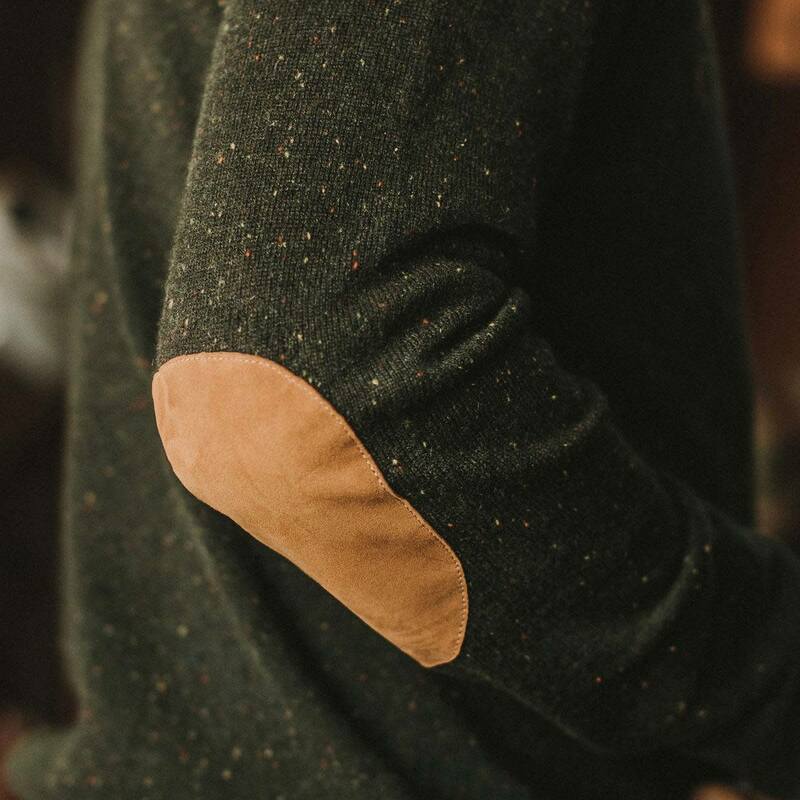 Cashmere, in case you need a primer, is finer, stronger, lighter, and softer, than sheep's wool, and is also three times more insulating, making it the perfect warming layer without added bulk. 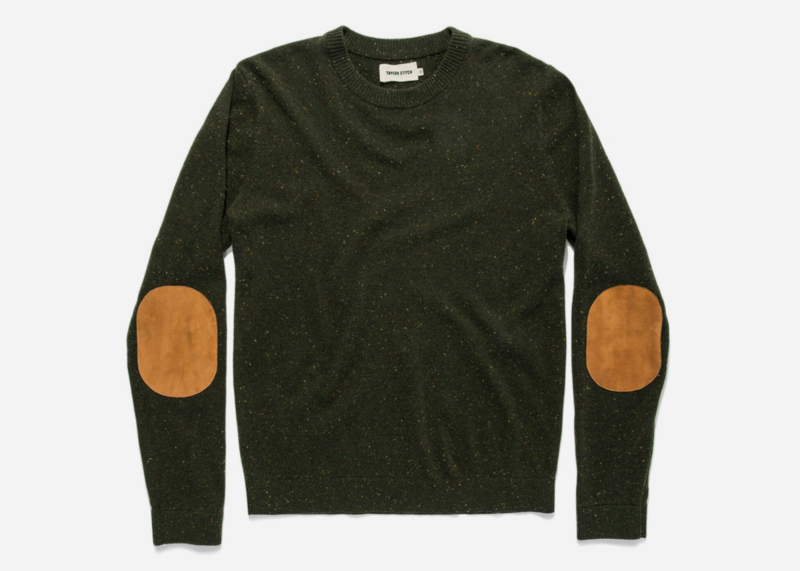 And the Hardtack, offered in a knockout shade of olive green, is as the name implies built to last with meticulous construction that means it will "beat the chill tomorrow the same as it will in 2028."